Hi everyone, it's a new challenge at ATSM. 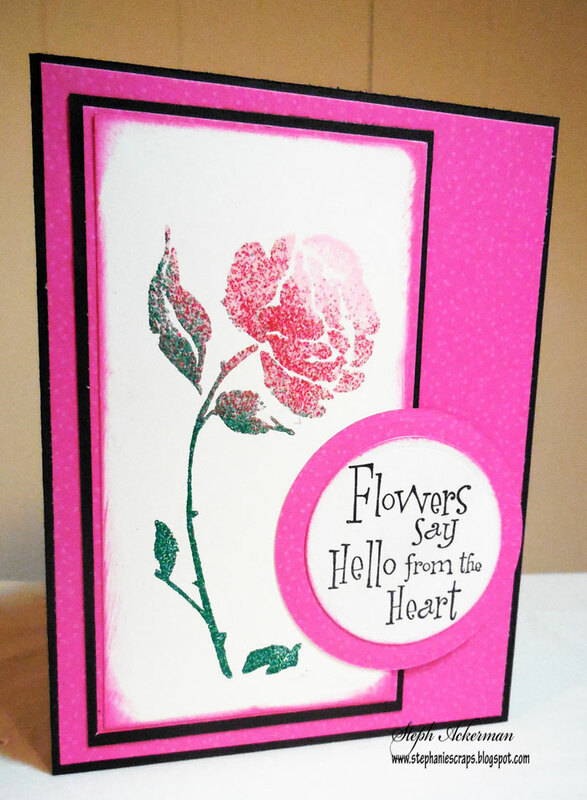 My card is a simply embossed rose. 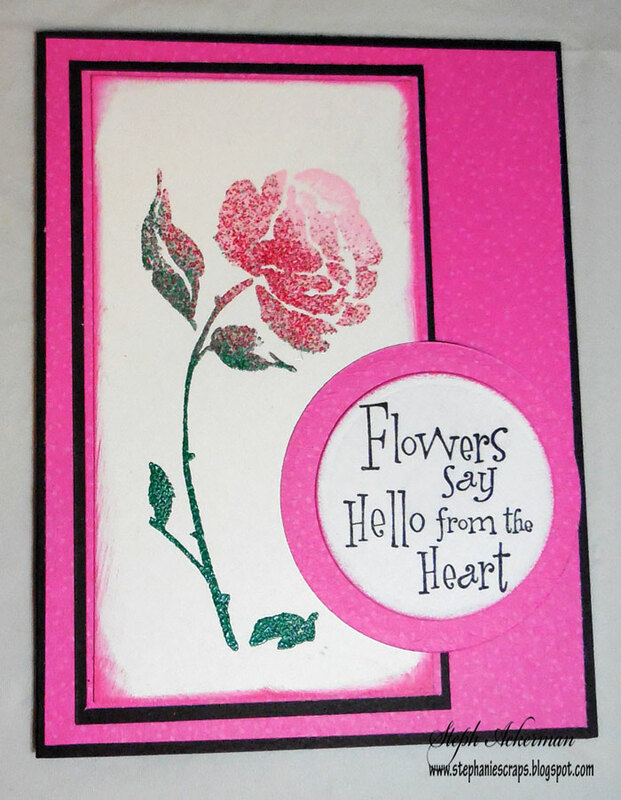 I paired it with hot pink and black cardstock. 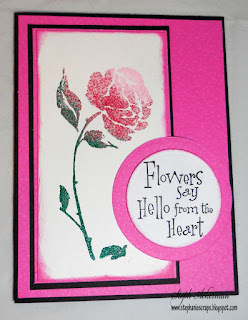 The image was added off center and the phrase was die cut and added on top.